The OPPO F11 Pro, which was previously released in other markets including India, is expected to launch in the Philippines on March 27. While the hardware specs are already out, we are still waiting for its official price here. Until recently, that is. 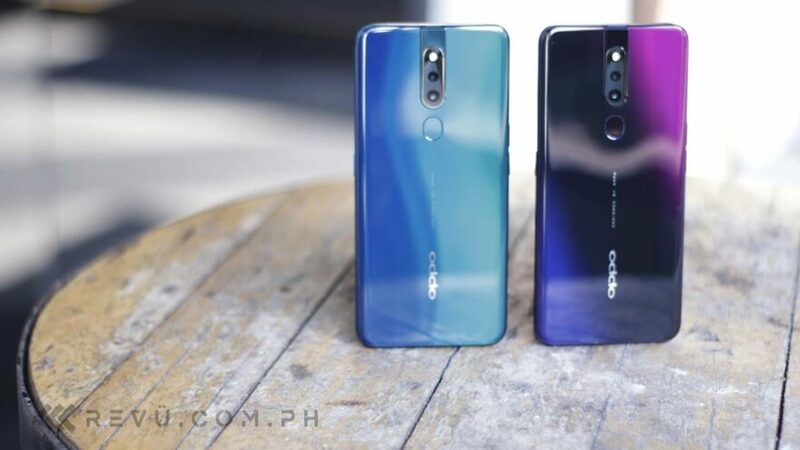 A member of an OPPO fan page on social media has shared a screen grab of the OPPO F11 Pro in Thunder Black (the other color is Aurora Green) which lists the price of the F9 successor at P18,990, or roughly $362 converted. The image, we believe, was taken from the online store of local retailer Abenson, but the listing has already been taken down. If accurate, it would make the F11 Pro more expensive than last year’s F9 by P1,000 ($19), though it’s understandable given the new full-screen design, larger display, and motorized front camera that springs up from inside the phone when you want to snap a selfie. 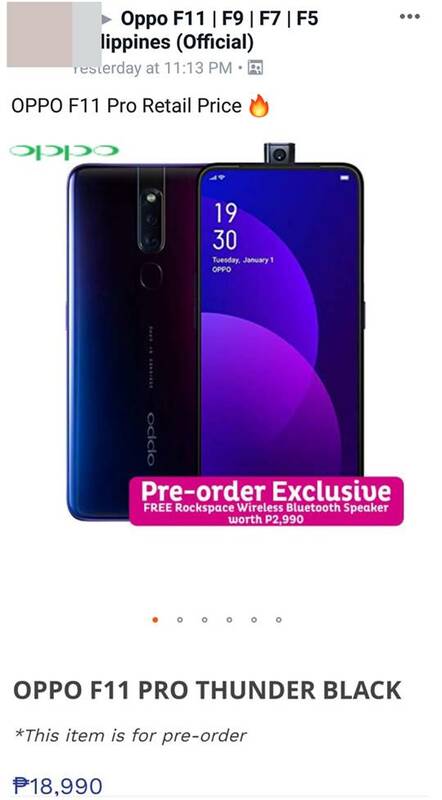 That price also puts the OPPO F11 Pro squarely in the territory of the Samsung Galaxy A50 and Vivo V15 Pro, both of which come with triple rear cameras (the F11 Pro has two) and fingerprint scanners built into their Super AMOLED screens — and, more importantly, cheaper price tags. The Samsung Galaxy A50 is priced at P17,990 ($343) in the Philippines, whereas the Vivo V15 Pro sells for P17,999 ($343) here. The F11 Pro runs the new Color OS 6 interface on top of Android 9.0 Pie, while the processor is a MediaTek Helio P70, which is a slight upgrade from the Helio P60 inside the F9. The battery is now 4,000mAh, up from 3,500mAh in the previous iteration, and supports 20-watt VOOC fast charging via a microUSB. Do note that nothing is official until it is Launch Day Official, but it sure seems that the F11 Pro will end up being one of the pricier options in the local midrange segment.